The Haftorah is read from the book of Yeshayahu (Isaiah), 40:1-26. The Haftorah for Shabbat Nachamu (Which means “The Sabbath of Comforting”), is read on the Shabbat after Tisha B’Av, the Ninth of the month of Av, which is the anniversary of the destruction of both the 1st and 2nd Beit HaMikdash (The Holy Temple). This Shabbat is the 1st of the Shiva D’Nechemta or the 7 weeks of comfort which ushers us into Rosh Hashanah. The Isaiah Scroll, found in the caves in Qumran. It is the oldest existing copy of the Book of Isaiah, and is over 2,000 years old. The connection of the Haftorah to the Parsha: This Haftorah is the first of the Shiva D’Nechemta, the seven weeks of consolation that begin following the fast of Tisha B’Av and run until Shabbat Shuvah, the Shabbat before Rosh Hashanah, The Jewish New Year. During this time, one’s concentration should be on repentance and improving one’s behavior. Therefore, there is no direct connection between the Parsha and the Haftorah. The storyline of this week’s Haftorah: The End of Exile. “Nachamu, Nachamu Ami” “Comfort, comfort my people” The Prophet Yeshayahu (Isaiah) speaks to the city of Yerushalayim (Jerusalem) and reassures her that the suffering will end soon. The Return to Zion. Yeshayahu also informs Yerushalayim’s surrounding mountains and valleys that in the near future they will all become level ground in order to give the Jews returning to Har Tziyon (Mount Zion) an easier journey. Hashem’s Words Endure Forever. Yeshayahu poetically likens man to grass, in the sense that man is not indestructible. If Hashem wants to blow the nation away, He can. This is the part of the reason the Jewish nation must cleave to Gd’s Word. The Scream of the Messenger of Good News Regarding Har Tziyon. Yeshayahu tells Har Tziyon to rejoice by announcing loudly and proudly “Hashem is here right now!” Hashem’s Greatness and Man’s Insignificance. One should always remember that in comparison to G-d, their life and possessions are insignificant. Hashem is the only real power. 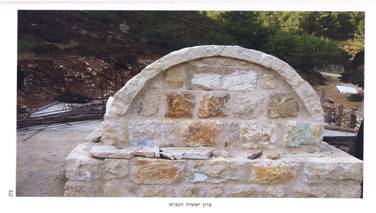 Famous phrases: Isaiah 1:26, “Hasheeva shoftainu kevarishona v’yoatzenu kevatchelah.” Hashem will restore the Judges as in earliest times and our counselors as in the beginning.” Said on weekdays in the Amidah. Haftorahman’s lesson of the week: This Haftorah contains prophecies from the book of Yeshayahu that offer the people of the exile comfort and hope after the destruction of the First Temple. Let us all reach out to one another with words of encouragement during each other’s periods of hardship: Take heart, better times will come. This Bulla (Stamp) was found by the archeologist Ms. Eilat Mazar, while searching for the Palace of King David, which is believed to be situated in Ir David (The City David), just south of the Old City of Jerusalem. The stamp is a government seal belonging to the official Jehucal (or Jucal), son of Shelemiah, son of Shevi. He is mentioned at least twice in the Book of Jeremiah, and was the one responsible for throwing Jeremiah into the Cistern. Map: Isaiah’s prophesy took place in the Holy city of Jerusalem. 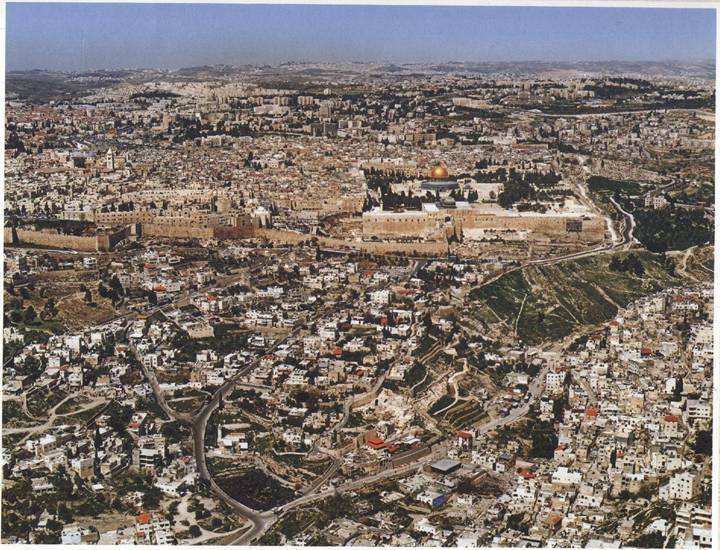 This image shows the Old City of Jerusalem as well as Ir David, David’s City. Timeline: Isaiah prophesied about 2600 years ago just before the destruction of the 1st Holy Temple.